I have two more quick recaps of books I read a while back which I did like and in case you were thinking about these maybe this will encourage to give them a try. At the beginning of the book, a young girl goes in search of her 13-year old sister in the communal garden and finds her unconscious. As she calls for helps and she wonders what happened the scenes flashback to what led to this awful moment. Clare and her two daughters move to Virginia Park after her husband has a psychotic breakdown and tries to burn their house. She chooses this spot hoping to give her children a peaceful place to start all over. At first everything seems to be going well. There are other children and young mothers about and the families all enjoy the gardens but all is not as idyllic as it seems. The story is told through various points of view which helps the reader see the other characters from different perspectives. Where one character only sees the helpful and kind person, another may see the character behaving not appropriately. 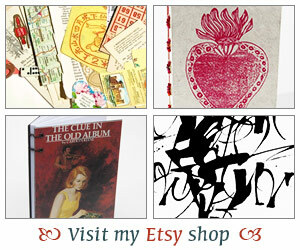 There are red herrings and twists but all this helps create an intricate plot and plenty of suspense. I enjoyed this story and found it quite different from some earlier Lisa Jewell books I had read, which were more of the chicklit variety. Three women’s lives are entwined in this story of motherhood, loss and friendship. Mercy is a recent college grad but while she sees a lot of her friends begin their careers she seems to be floundering so she moves to Hong Kong where she thinks she may just find herself. Meanwhile both Hilary and Margaret find themselves in Hong Kong due to their husband’s jobs. Life in Hong Kong for the Margaret and Hilary at first glance may seem easy. They have maids, go to company parties, but they are still there not by choice but by obligation. For Mercy, life in Hong Kong hasn’t been easy either until she meets Margaret and accepts to accompany her and her family on vacation to care for the children. A careless moment will change their lives forever. There are alternating chapters so we are able to understand each character better although the character I found the most compelling was Margaret and when you read her story you will understand why. Overall I thought this was an interesting story exploring the expat life. Let me know if you’ve read any of these and what you thought. I have not read either of them, but they do sound good! It looks like the same photographer did the covers. 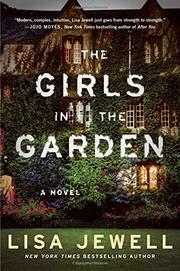 The Girls in the Garden sounds intriguing, and I haven’t read anything by this author, so she goes on the list! I wish I had a maid. It really would make my life easier . . . I’m sorry it doesn’t for Margaret and Hilary. Going to company parties wouldn’t be fun for me either though. 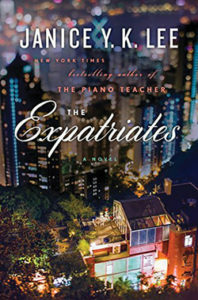 The Expatriates isn’t something I would likely be drawn to, admittedly, but you never know. The Girls in the Garden, however, really interests me. I’ve heard a lot of good things about Lisa’s books but haven’t read any of them and now I’m curious about them. I don’t think I’ll be drawn to The Expatriates but I’m glad you enjoyed it.